Back in October, I spent a week or so gadding about the London Film Festival, trying to make the most of the chance to catch previews of various forthcoming releases and a few curios that may never find a distributor here in the UK. One of the most eagerly anticipated films (for me at least) was Barry Jenkins’ adaptation of James Baldwin’s 1974 novel If Beale Street Could Talk, a story of love, injustice and the fight for freedom. With just under a week to go to the Beale Street screening, I picked up a copy of the novel on the spur of the moment to read on the train journeys in and out of the city (just about manageable given the book’s length). It’s a really remarkable piece of writing, so powerful, passionate and lyrical, that it’s going to be hard to do it any kind of justice in a review. The novel is narrated by Tish, a nineteen-year-old black girl who lives with her parents and sister in Harlem in the early 1970s. Tish is deeply in love with Fonny, just a regular young black guy except for the fact that he happens to be in jail, accused of a crime he clearly did not commit. As the story opens, Tish is visiting Fonny in prison to tell him she is having his baby, a development she believes will offer them a glimmer of hope, for Fonny loves Tish just as much as she loves him. You see: I know him. He’s very proud, and he worries a lot, and, when I think about it, I know – he doesn’t – that that’s the biggest reason he’s in jail. He worries too much already, I don’t want him to worry about me. In fact, I didn’t want to say what I had to say. But I knew I had to say it. He had to know. In creating this story, Baldwin has seamlessly woven together two closely-related strands: firstly, the families’ efforts to discredit the case against Fonny in an attempt to secure his release; and secondly, a series of flashbacks from the young lovers’ courtship before Fonny’s imprisonment. Here’s an excerpt from a scene where Fonny is declaring his love for Tish, essentially asking her to be his life partner, for better or for worse. Alongside the story of Tish and Fonny’s relationship, the novel also conveys the power of familial love and familial tensions in fairly equal measure. Fonny’s mother, in particular, is dead set against her son’s involvement with Tish (as are his rather stuck-up sisters), while his father, Frank, is much more supportive of the couple. If Beale Street Could Talk is a book shot through with a powerful sense of loss, of missed chances and opportunities, of lost time and happiness for Tish and Fonny, maybe even other losses for those trying to support the young lovers in their quest for a better future. It’s also a beautiful portrayal of two people who are clearly devoted to one another, united by the kind of bond that seems strong enough to endure the greatest of hardships. And what of the film? Well, as I alluded to earlier, it’s terrific. Barry Jenkins has done a superb job of capturing the lyricism and beauty of Baldwin’s prose, transferring these qualities to the screen. From a visual perspective, the film looks gorgeous, invested as it is with a sense of emotional warmth and sensitivity that really shines through. I think it’s one of those rare examples where seeing the movie actually enhances the experience of reading of the book. As far as I can tell, the film is due to open in the US on 30th November and in the UK on 18th January. If you like the sound of the story, please do consider going to see it when it comes out. I very much doubt you’ll regret it. 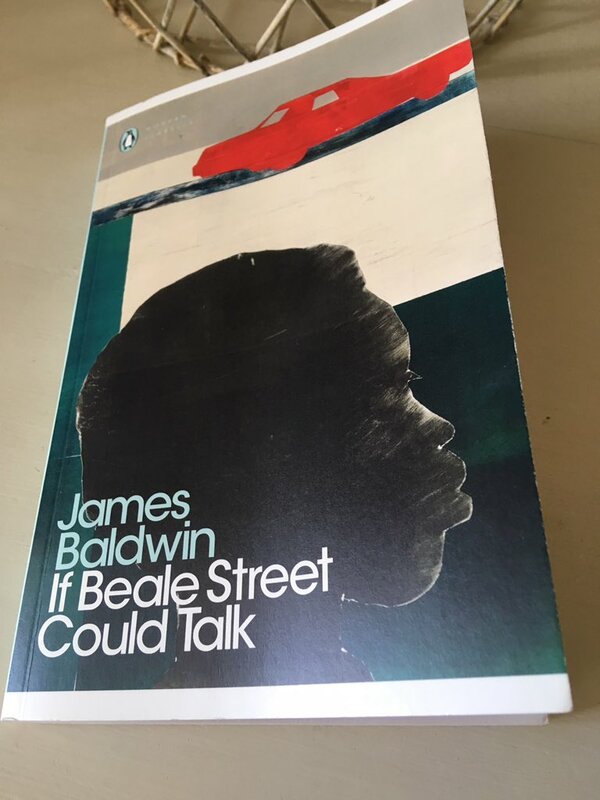 If Beale Street Could Talk is published by Penguin Books; personal copy. This entry was posted in Baldwin James, Book Reviews and tagged Book Review, Classics Club, Fiction, James Baldwin, Penguin Books, US on November 20, 2018 by JacquiWine.